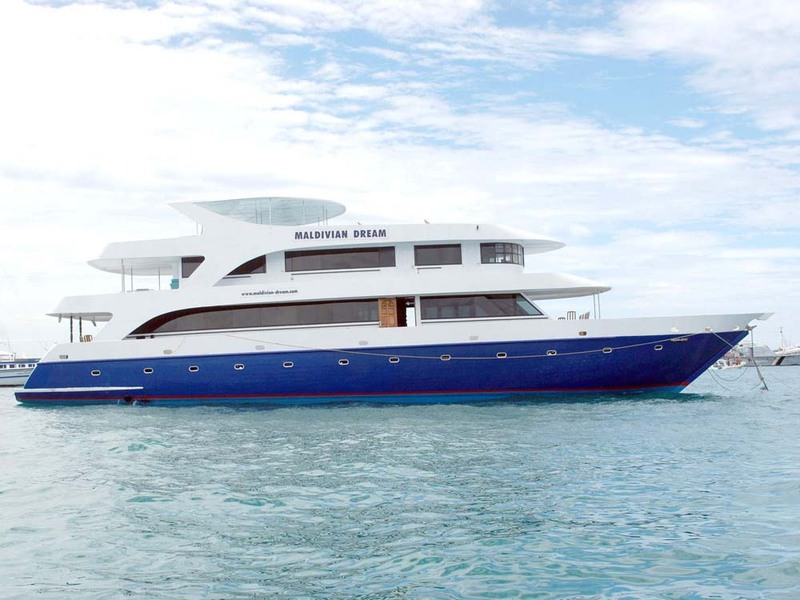 Maldivica Cruise is a mid-size Maldives liveaboard that offers great diving cruises in three cabin types. This wonderful motor yacht is 30m long and was launched in 2005. To maximise space on board, the diving is done from the tender boat, which is where equipment is stored. Maldivica Cruise has three luxurious decks, each with its own character and plenty of space for no more than 22 lucky guests per trip. 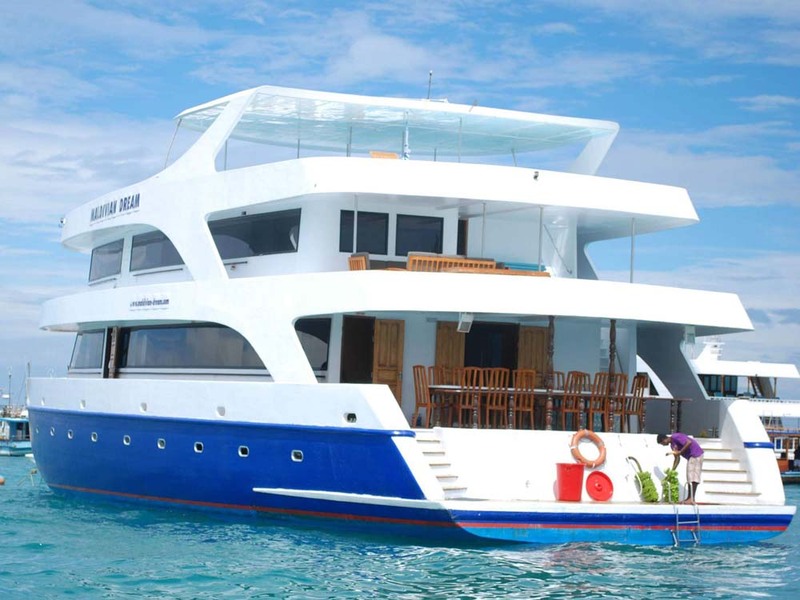 The balance of space, number of guests, cabin type, budget & luxury is just right for divers who want to enjoy diving holidays in The Maldives on a liveaboard boat that is a pleasure to spend time on without being overly expensive. 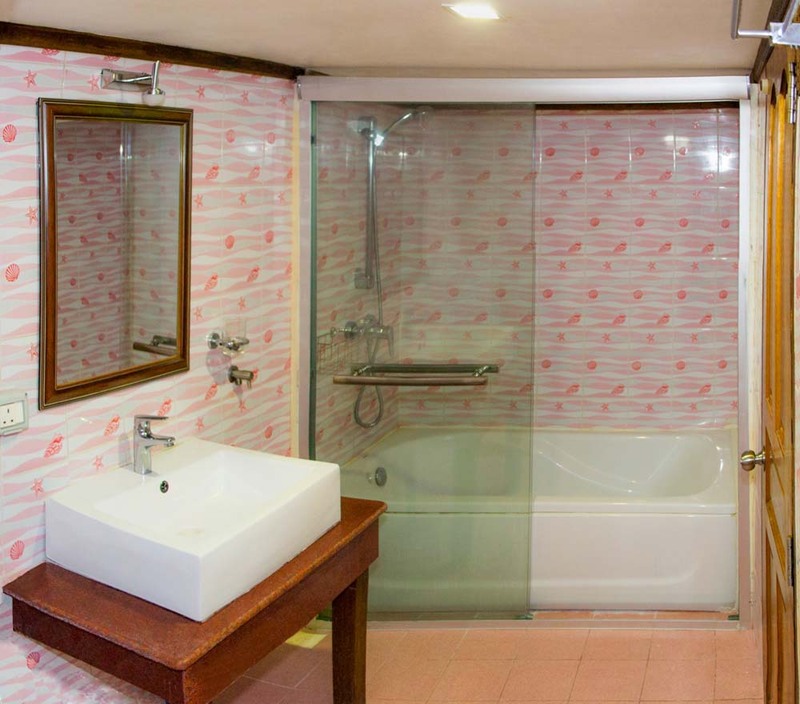 Starting with the accommodation, Maldivica Cruise guests can choose from several types of luxurious cabins, all of which take no more than two guests*, are fully air conditioned and have private en suite bathrooms. 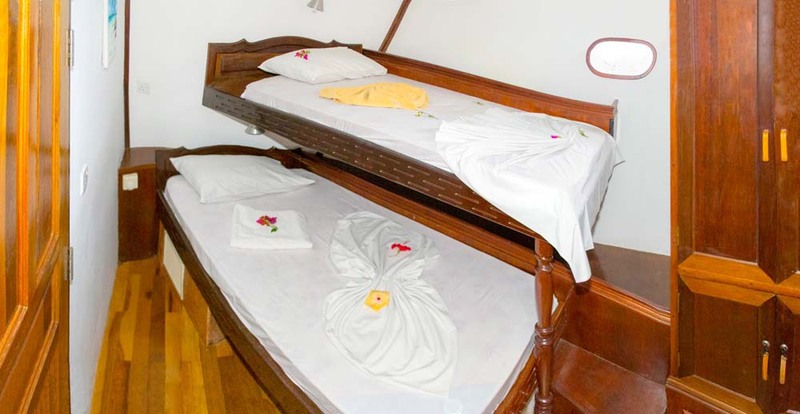 There are eleven cabins on Maldivica, which include the deluxe, double/twins, and standard twins. 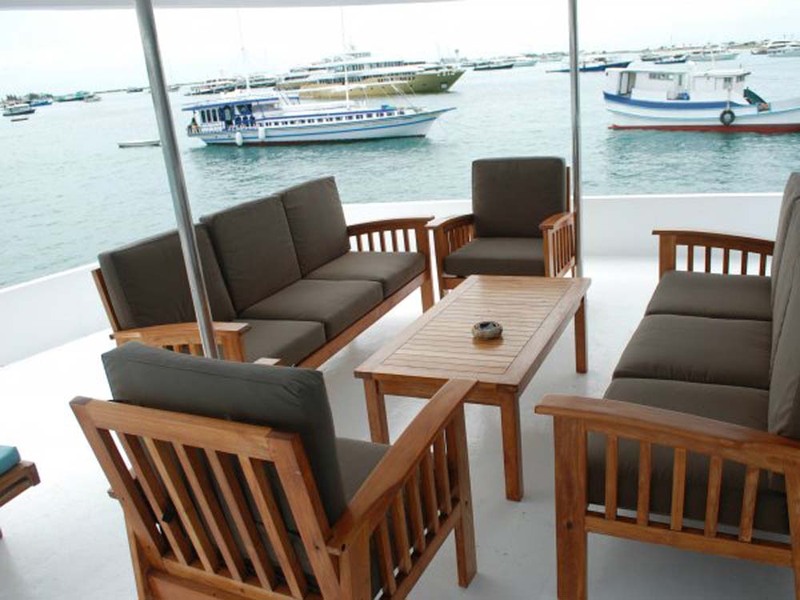 Located on Maldivica’s upper deck there are three deluxe cabins, each of which have plenty of space around the large double bed, dressing table, computer desk, bathtub and private access to an outdoor area to experience the wonderful views that can be enjoyed on a Maldives diving vacation. 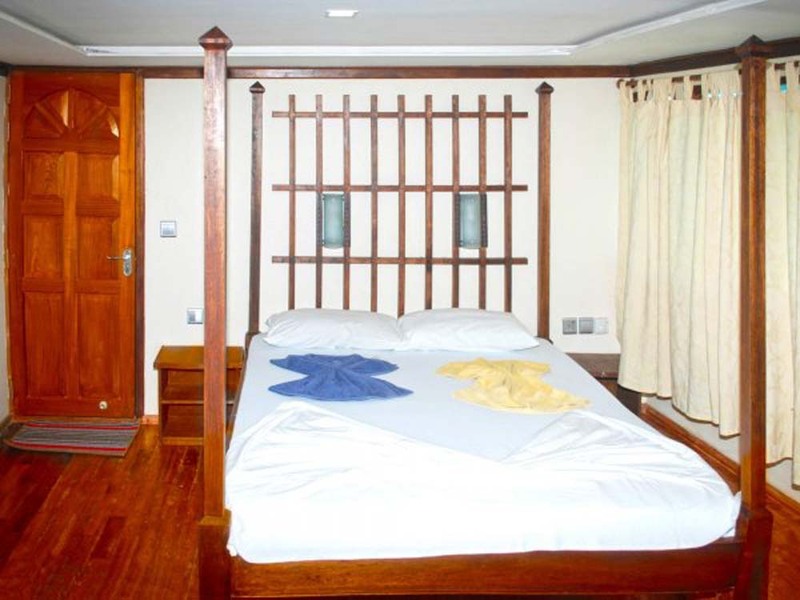 The other cabins are six double/twin and two standard bunk-bed cabins. 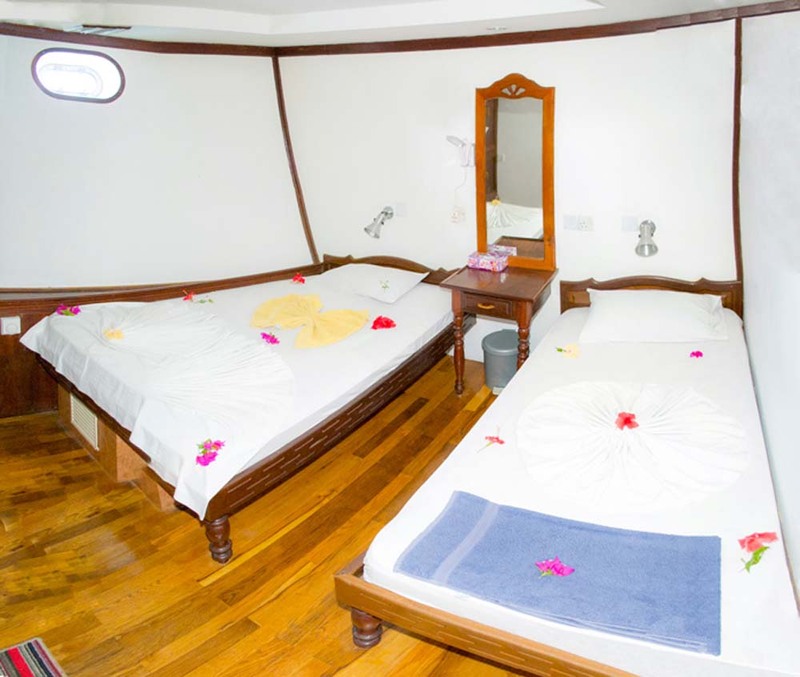 The double/twin cabins are comfortable for most Maldives scuba diving guests who are couples or friends. 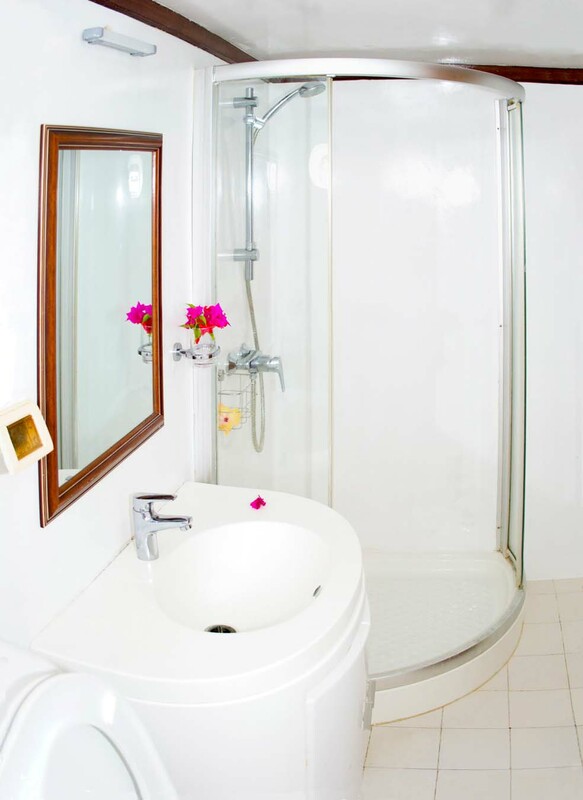 The cabins have two beds (a double and a single) and a large en suite bathroom. Towards the front of Maldivica’s lower deck are the two standard cabins. 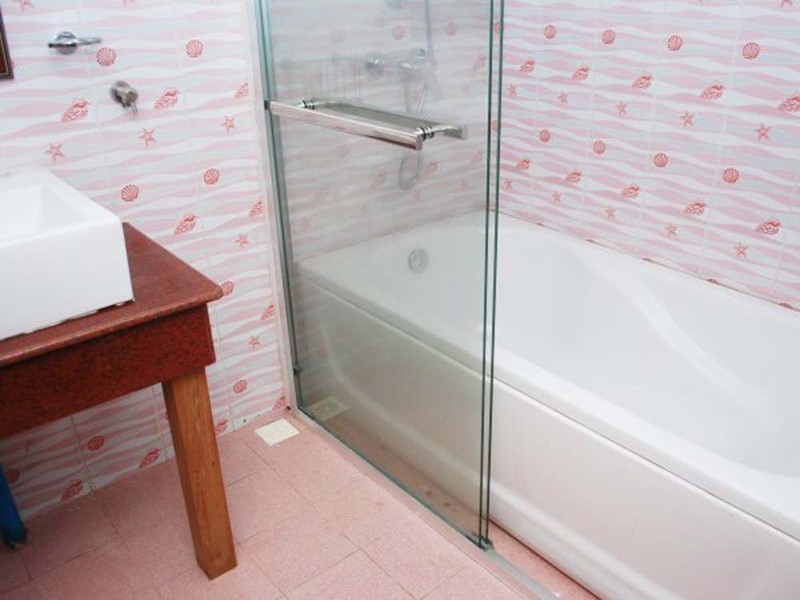 These include bunk beds and an en suite bathroom with a shower cubicle. 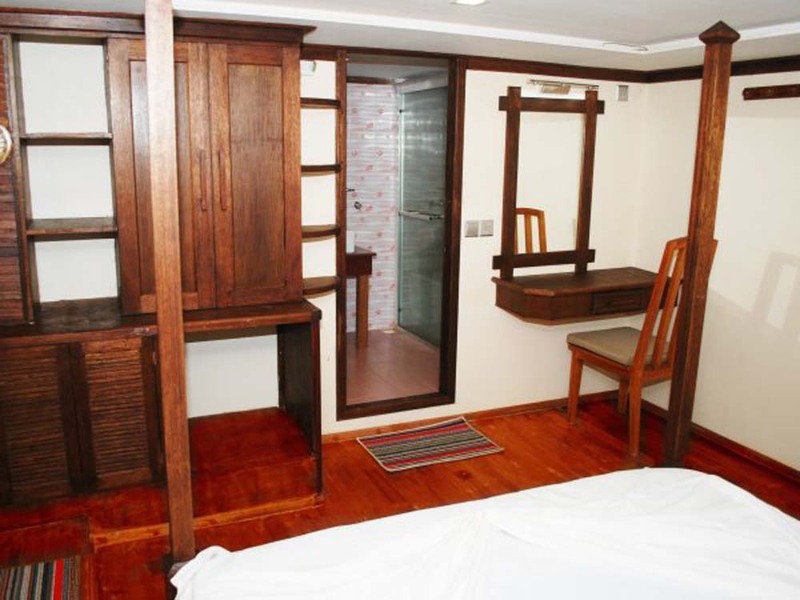 These standard cabins are ‘cosy’ and most-commonly booked by those who want to enjoy diving in Maldives without paying over the odds on unnecessary luxuries, as well as those diving guests who usually spend most of their ‘on board time’ on deck socializing or enjoying the stunning views. 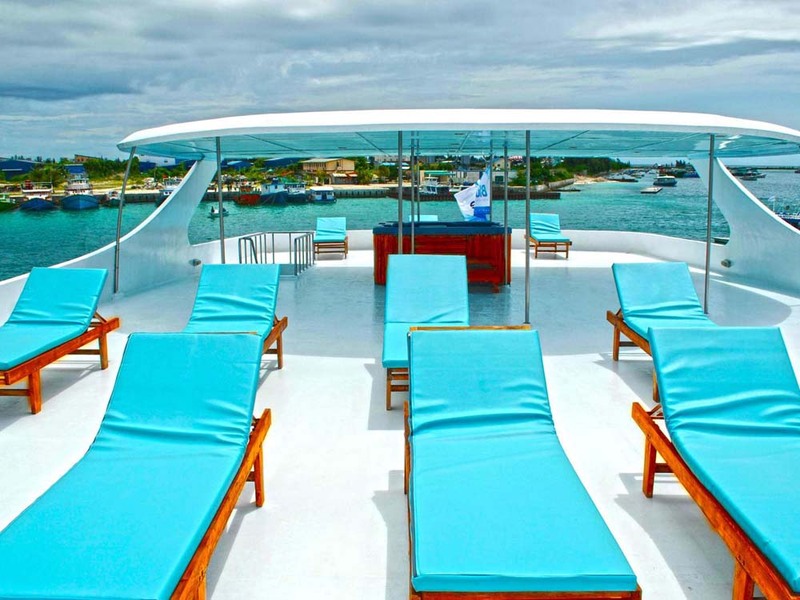 *6 cabins can accommodate 3 guests, but only on full charters or by special request. The communal areas of Maldivica include open air and air-conditioned places where guests can easily relax in comfort, whether this is in couples, pairs, alone or in groups. Diving Maldives cruises are guaranteed to be a pleasure from beginning to end. The sundeck is home to 20 sunbeds / sun loungers and a large shaded Jacuzzi that can fit as many as eight people. The upper deck has a large lounge area with a bar and TV. 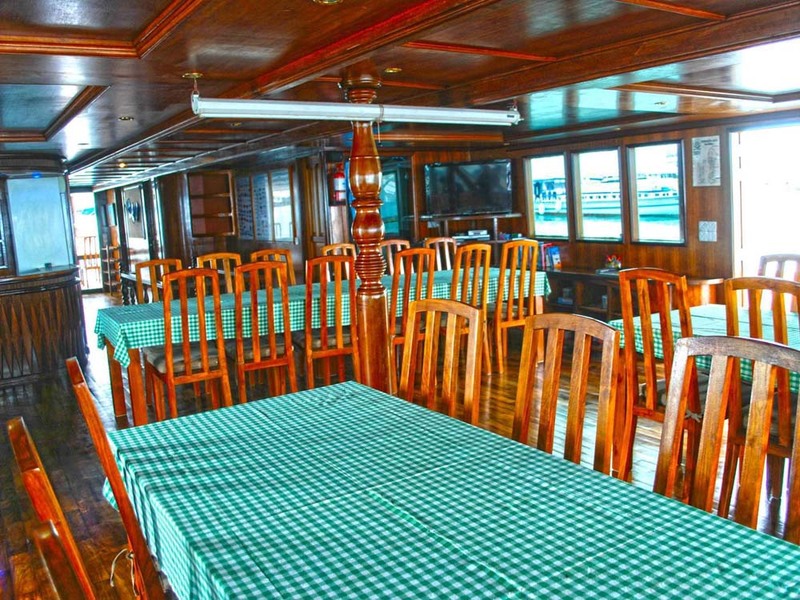 The main deck of Maldivica Cruise is where the lucky guests can enjoy the delicious food in the large dining area. Food is a perfect blend of local and western cuisine served buffet style, and there’s always enough for hungry divers to really enjoy the fine dining that any scuba diving Maldives cruise should include. 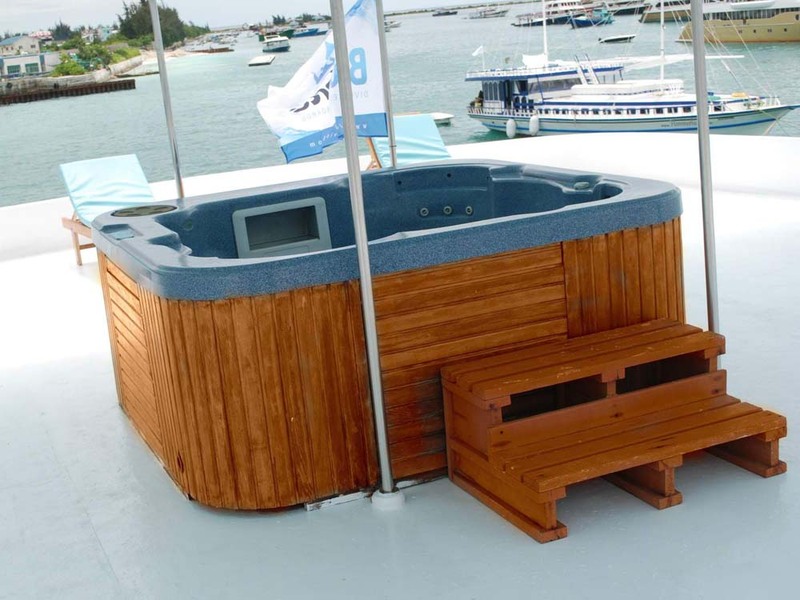 The main deck also has a bar, TV and outdoor lounge area at the rear of the boat. 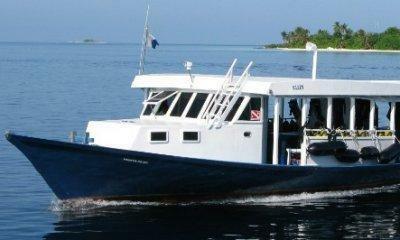 Of course, the cruises are all about the wonderful diving holidays that can be enjoyed at The Maldives. To maximise space on board this purpose-built yacht, the diving is done from the large tender vessel, known as a dhoni. This is perfect for several reasons. Not only does it keep the wet & bulky scuba gear away from the main yacht, the tender can more easily drop divers off at the beginning of each dive and collect them afterwards, ensuring efficient service and maximizing safety. Scuba diving in Maldives is regarded by many experienced divers as among the best in the world. Depending on which part of the Maldives diving holiday season you visit, you are almost guaranteed an unforgettable time underwater. The best time to visit the Maldives for diving is considered to be October to April, when the seas are calmer and the reefs easier to explore. Whichever cabin and itinerary you choose for your Maldives diving safari, the service, luxury, comfort, dining and diving will all make your Maldives dive cruise and holiday to remember forever. Maldivica has several itineraries, and each is determined by the time of year to ensure the best and safest diving cruises at The Maldives. 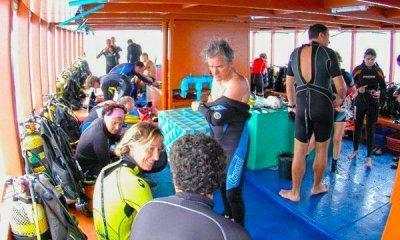 Also, the experience and needs of the guests on board has an effect on which dive sites are chosen each day. Fuel Tank Capacity: 7,000 Liters. Engine: Volvo Penta 450 HP. Generators: 2 X Sound Proof - 40 Kva. Electric Voltage: 220 Volts / 50 Hz, 3 Phase, 24 Hrs / Day. Water Maker: 6000 Liters Per Day. Communication: IDD Telephone And VHF Radio Set. Most diving holidays give you a chance to participate in a scuba diving course. Please contact us for the latest availability of diving courses on board Maldivica diving cruises. Maldivica guests are transferred free of charge from Male International Airport on departure day, and returned in the morning at the end of the cruise. Guests whose flights land at other times or another day should contact us to discuss the transfer to and back from the boat.